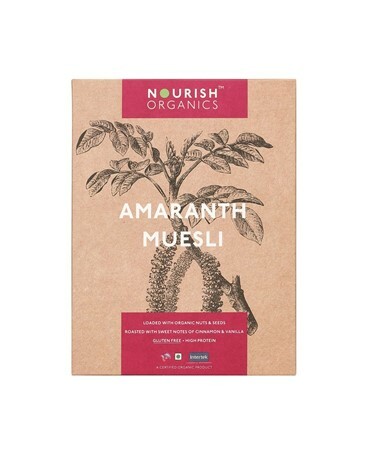 Organic Amaranth is a power-packed super-food,amazingly high in protein and antioxidants. This special little seed is the star of our organic Amaranth Muesli! 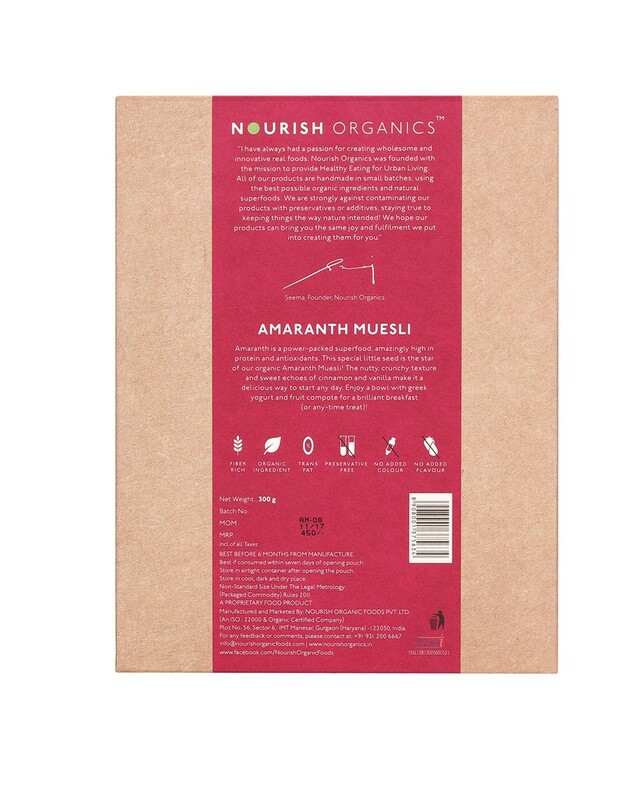 The nutty, crunchy texture and sweet echoes of cinnamon and vanilla make it a delicious way to start any day. Enjoy a bowl with greek yogurt and fruit compote for a brilliant breakfast (or any-time treat)!